Quinoa, pronounced as keen-wah is known as the 'mother of all grains'. It's a good source of balanced-amino-acid protein. Ceres Organics Quinoa Flakes are organically grown, gluten-free, and have a low Glycemic Index. Quinoa Flakes are delicious, and easy to digest. They are light and not sticky like other common grains, and have a savoury flavour on their own. 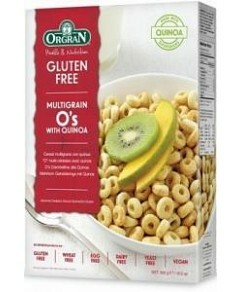 Incorporate Ceres Organics Quinoa Flakes as part of your breakfast cereal, salad recipes or baking.